The book - a fascinating tutorial, inviting himself to calculate your horoscope. In a convenient form of the given reference for the calculation are given an explanation. It can be successfully used both in the selection of the name of the newborn, as well as to explore the astrological characteristics of his own name reading. 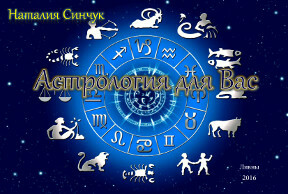 The book is all-inclusive: the description of planets, zodiacal constellations, eastern circle of animals, and even philosophy and numerology. You have a unique opportunity to determine which zodiacal constellation is now yours. And compared to the traditional dates of the constellations. All your life you thought themselves Scorpio. Or maybe you Ophiuchus! Do you want to meet with him again? It will also be interesting to get acquainted with the modern structure of the human aura, and understand what is karma. The book refers to the astro-psychology and is designed for a wide range of the general reader, but will be of interest and professional astrologers.